"We're going around the country, talking about, ‘How do we put people back to work? How do we improve our schools? How do we make sure that we're producing American energy? How do we lower our debt in a responsible way?' And I don't think you or anybody who's been watching the campaign would say that in any way we have tried to divide the country. 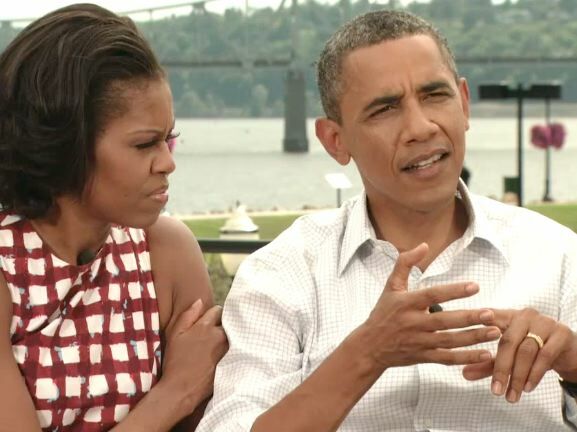 We've always tried to bring the country together," President Obama said in an interview with Entertainment Tonight. Krauthammer: Democrats Have "Stepped On A Land Mine With Medicare"
Obama: "Five Trillion Dollars Is A Lot Of Money, Even In Washington"